mod_plsql is deprecated as of Oracle HTTP Server 12c (12.1.3). For more information, please see My Oracle Support Note 1576588.1. Oracle recommends using Oracle REST Data Services instead. 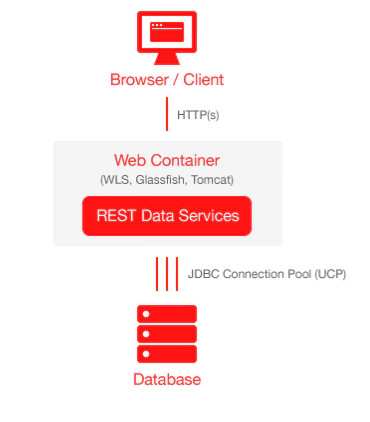 Oracle REST Data Service is the future – so let’s go to the future. My new architecture what I want to build looks like as described on this picture. 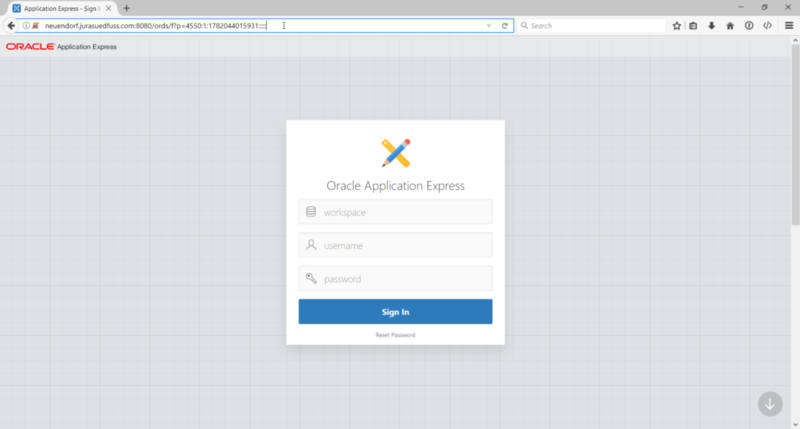 I have downloaded Oracle Application Express here: http://www.oracle.com/technetwork/developer-tools/apex/downloads/download-085147.html . The extracted software is located on the server in the /tmp directory. For the APEX data I have created a new tablespace called APEX too. 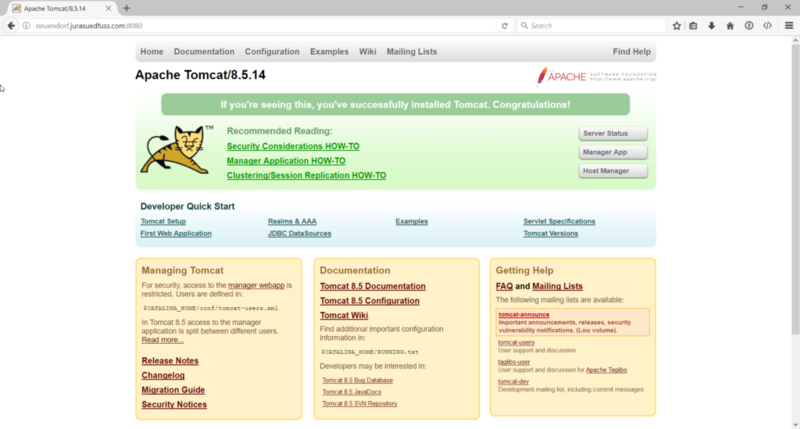 Startup Tomcat – after the re-login as OS user tomcat the application server can be started by using the environment variable $CATALINA_HOME. [tomcat@neuendorf ~]$ $CATALINA_HOME/bin/startup.sh Using CATALINA_BASE: /u01/app/tomcat/apache-tomcat-8.5.14 Using CATALINA_HOME: /u01/app/tomcat/apache-tomcat-8.5.14 Using CATALINA_TMPDIR: /u01/app/tomcat/apache-tomcat-8.5.14/temp Using JRE_HOME: /u01/app/tomcat/jdk1.8.0_131 Using CLASSPATH: /u01/app/tomcat/apache-tomcat-8.5.14/bin/bootstrap.jar:/u01/app/tomcat/apache-tomcat-8.5.14/bin/tomcat-juli.jar Tomcat started. To automate the start/stop – we use a runlevel script. The script has to be created as OS user root. In one of the first lines, I have set a sleep command to be sure that the database is available before the application server starts. You will be asked for a new password for the database user ORDS_PUBLIC_USER (user will be created by this script), for the already existing users APEX_LISTENER and APEX_REST_PUBLIC_USER and for the SYS password. For ORDS metadata, I have created a new tablespace called ORDS. The values for database server, hostname and the service name are taken from the configuration file ords_params.properties. Do not start ORDS in standalone mode at the end of the configuration. That’s it – have fun with the Oracle Application Express, Oracle REST Data Services and Tomcat :-). In the next post I will show you how you can secure your installation by change to https/SSL.